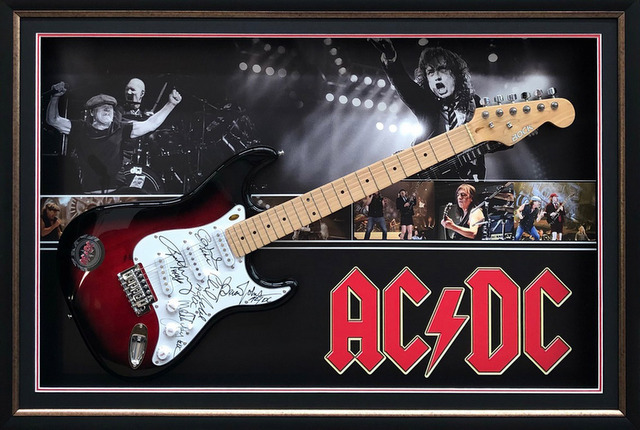 This guitar has been hand signed by all 5 band members and comes framed with this unique backdrop imagery. Interest-Free Instalment Option: 5 monthly payments of $510.00. The item is sent after the final payment is made.